Tammy Brown is Vice President of Human Capital for LHI and directs the strategic development and implementation of Human Capital initiatives to ensure the achievement of business goals. Her responsibilities include employee engagement and development, organizational planning, conducting talent needs assessments, talent acquisition and development, ongoing employee relations and communications of all Human Capital-related matter. 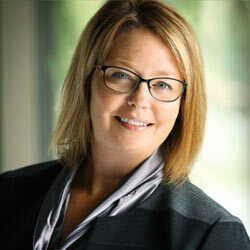 Brown offers over 16 years of experience in human capital leadership roles. Prior to joining LHI, she served as the Senior Vice President, Human Resources Manager at Associated Banc-Corp.
Brown graduated from the University of Wisconsin – La Crosse with a Bachelor of Science degree in Business Administration.